Another Monster Dash has come and gone. (How is it November already!?) I had a great time at this race once again, and Team Ortho continues to tweak operations to improve the experience. Packet Pickup was right by the Start/Finish line, at the Panther Pavilion "Shack" in downtown FW. I went early in the day so it didn't take long, and there was tons of free parking right by the front door. One con for a lot of people is that there wasn't race-day pickup. If you couldn't make it to the official pick-up, you had to pay $30 to have your packet shipped in advance. I wouldn't be surprised if this was a deal breaker for folks who don't want to pay that shipping fee and can't make it to the pick-up. I arrived about an hour early on race day. (I remembered the start line being 1mi from the parking lot last year, so I didn't want to make the same mistake.) They moved the start line this year and it was right next to the parking lot. No complaints here! Passed the time milling around the vendor booths, checking out the pre-race costume contest, and making a last-minute porta pottie stop. Lots of fun costumes everywhere! The route was similar to last year---an out-and-back course along the Trinity River Trails. It had rained the whole day before the race, so there were some pools of water that we all attempted to avoid. (Which usually ended with us running into even bigger pools of water in the grass lol.) The course was pretty flat---elevation gain was only 150ft. There were more volunteers overall this year. Some were stationed along the course, with buckets of candy. (Guessing the younger 5K runners took full advantage.) Other volunteers were stationed at the water stops and did a great job. There were also well-staffed Medic Stations for the half marathon runners. This event doesn't usually draw a lot of spectators but there was a great HS cheering squad around Mile 2/Mile 6! Post-race festivities were great. Everything took place inside the "Shack." Team Ortho partnered with Karbach Brewing and all runners (21+) got a free beer. There was a DJ mixing before/after the awards ceremony. Loved the swag as always--a great medal and finisher jacket. (See picture.) The jacket has thumb holes, a large back pocket, and an embroidered logo on the back. It's also fleece-lined and so warm! Perfect for this time of year. 'Til next year Monster Dash! "A Highlight of My Year!" This was my 3rd Rahr Oktoberfest and all I can say is that it gets better every year! The DFWRuns marketing team does a great job promoting and organizing this race. The t-shirt designs are different every year but they never disappoint. This year's event catchphrase is my favorite by far: "I'm not the wiener but I wasn't the wurst!" It's etched on all of the finisher pint glasses. Parking is always tricky around the brewery--they don't have a customer lot on their property--but you can always find a spot in the neighborhood. The pre-race logistics ran very smoothly--all IDs were checked as you arrived and there were plenty of port-a-potties available. As everyone got lined up for the start, I noticed a few drones flying overhead with cameras attached. I'd never experienced that before but I'm sure this will catch on elsewhere if it hasn't already. The course was well-marked, with plenty of officers out managing traffic. My one tiny complaint for this run is with the aid stations--there was only one. Given that summer is still in full swing in Texas, I think a 2nd station would not go unappreciated. In any case, I'll probably carry an extra bottle with me next time. There was plenty of water at the finish and lots of enthusiastic volunteers managing the crowd. One of my favorite things about Rahr runs is that you get 3 full pints with your entry. I've never managed to drink 3 full pints--there's no way I'd be able to drive home--but it's nice to have the option. :) The post-race festivities continued until late afternoon, with a ceremonial keg tapping, a costume contest, and several stein hoisting competitions. Lots of vendors--including local restaurants and food trucks--had set up booths around the brewery and were giving away samples. The beer flowed freely and a good time was had by all! 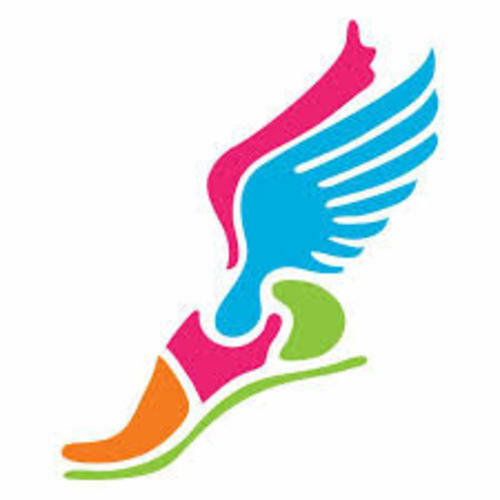 "New DFW Race Series, Well Organized"
The Bird is a brand new addition for DFW's beer-loving runners. Logistically, the event ran pretty smoothly and there were 2 aid stations on the 5K course. (Much appreciated in the TX summer!) The course began/ended at the Martin House Brewery, a popular local hang. Excellent selection of beers! It was a small-ish pool of runners so if you're looking to place in your division, this might be a good event for you. All that being said, I was a bit underwhelmed by the experience. I hate to admit that the swag/perks played a part! The event shirt was a shocking neon yellow color and it hurt my eyes to look directly at it. After the run, all finishers received an 8-oz plastic cup and one pour of beer. (Other beer-entered races in the area give finishers a commemorative pint glass and up to 3 pours. So my expectations were skewed.) We'll see if any of this changes next year though! Disclaimer: Having recently completed PT, I wasn't in 10K shape when I ran this race. This was one of the toughest races I've ever done. First, it was already in the 90s F by the start, and the humidity that day reached 90%. The route was all concrete and there was so little shade. Even though we ran all around the Trinity River, I couldn't enjoy any of it. I was grateful for the aid station volunteers--they handed out extra cups of water to runners and I don't think I could have finished otherwise. (By the 4-mi mark, I had gone through 2 stations, finished the 21 oz electrolyte drink that I'd brought with me, and I still felt dehydrated!) After finishing, I made a beeline for the beer because I desperately needed to cool down--they had run out of everything but their IPA. (I've run in other area races that start/finish at a brewery and I've never had this happen before.) So I was really disappointed--I'd been looking forward to trying TAP beers for the 1st time. Running experience aside...this event had to be rescheduled due to the massive flooding that hit Texas last spring. The pool of runners was really small but it was hard to tell if this was due to the rescheduling or to poor advertising. I also wasn't a fan of the tank shirt--it was a shocking ultra-neon orange--but that's just my personal preference. FYI, from the event site, it looks like this run might be discontinued. One of the biggest races I've ever run in! It was a great experience overall--nice swag and well managed. Instead of a t-shirt, all participants got a zip-up fleece jacket which came in very handy. (It was in the 30s F that morning.) The organizers suggested that runners arrive 90 minutes early to allow enough time for parking. Really glad I took their advice! Parking was well-coordinated but it just took a while to get so many people situated. It's always fun to run through Fair Park, although the immediate surrounding area isn't the most scenic part of Dallas. The aid station volunteers were handing out water and handfuls of chocolate, which I hadn't been expecting! Not surprisingly, the road was also littered chocolate--that must have been quite a site by the end of the 15K! After crossing the finish line, there were tents setup nearby where runners could line up for the signature cup of dipping chocolate and treats. Once again the volunteers were extremely efficient and despite being in the back of the pack, I was in and out of the line in 10 minutes. If I'm able to run this race again, I will definitely be doing the 15K--the chocolate bar-shaped medal is calling to me!